I have been dismayed at the number of Christians that think it is okay to take part in secular activities on a regular basis and think that it won’t affect who they are. I have been heartbroken for the church of today, that even pastors think it okay to take part in secular activities and even bring those activities into the church. The pastor of a local church I attended for a few months thought it was okay to host “The Walking Dead” parties every week when the show was on. These parties were held in the church. This pastor also thought it was okay to show videos on Sunday mornings of comedians sitting in a bar, drinking alcohol. My kids had gotten comfortable at that church, but I was not comfortable with my kids thinking that all of this was okay. We left. The pastors justification for all of this was that he wanted to bring people into the church. 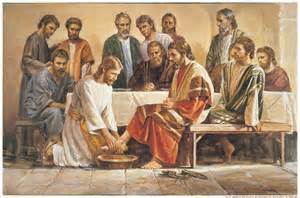 He used worldly ways to bring people into the church and gave them enough of the world to keep them in the church. That church is growing by leaps and bounds, but my heart breaks for all of those who attend that think that all of this is okay. This pastor is forgetting why God sent the Holy Spirit. If we stay true to God’s word and believe, then He will work in the hearts of people and bring them into the church. We are so set on making things about what suits us, that God gets left out of the equation. We then twist scripture and fool ourselves into thinking we are doing God’s will. I can see God looking down on all of us and shaking His head in frustration because we just don’t get it. There was a discussion about taking part in secular activities with another pastor of another church I attended for several years. He said that if these activities affect us then we were never pure in the first place. News flash: none of us is that pure! None of us will ever be pure enough to engage in worldly activities and never have them affect our christian walk. This pastor authorized a youth trip to one of the Twilight movies for the middle school girls. Needless to say that we are no longer at that church either. Don’t get the impression that I think I’m perfect. I am far from perfect and my choices aren’t always ones that Jesus would approve of. There are two T.V. shows that I love that I need to give up because they don’t pass the Jesus test. For every T.V. show, movie, song, activity, decision, ask yourself, “would Jesus approve of me watching/doing this?” I believe that each of knows if Jesus would approve or not. If the answer is no, then don’t watch or do what it is your asking about. I love the Gilmore Girls, but would Jesus approve of my watching the show? No, He wouldn’t. He would not approve of Grey’s Anatomy either. My 12 year old son, Ty, is a bit of a ladies man. He has two girlfriends and has had three. I asked him last night if he thought Jesus would approve of having two girlfriends. Ty knew that Jesus would not approve. I asked him if he cared about what Jesus thought. He said he did care. I asked him what he thought he needed to do. He said break up with one of the girls. When we put our own decisions to the Jesus test and start making wiser decisions about what activities we participate in, we set an example for our kids that they will remember when it matters. Will they always make great decisions as far as what they watch and listen to? Will they always make wise decisions as far as what activities they take part in? No, they will not. My 18 year old daughter, Cree, watches the Walking Dead. All three of my daughters like the Hunger Games movies and the Twilight movies. They know I don’t approve, but they are old enough to make their own decisions. I have planted a seed in their hearts and I trust that God will cultivate that seed. 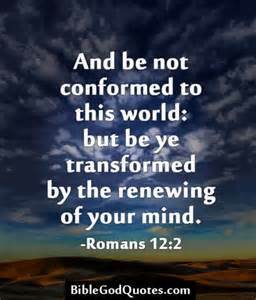 When we continue to watch things like the Walking Dead, It will desensitize our spirits and we begin to think that it is okay to conform to the ways of the world. Go through the T.V. shows, movies, music that you enjoy and put them to the Jesus test. Will they pass? If not, what are you going to do about it? Are you willing to give them up for Jesus? If your kids are watching, listening to media that you don’t approve of, ask them if Jesus would approve. They may not care if Jesus approves. When you ask them to put their activities to the test, it makes them think about what they do. They may not care right now, but the seed has been planted, trust God to work in your child’s heart. It isn’t easy to watch your child making decisions that we would not make. Do not worry, sweet momma, your child is in God’s hands. Do what you need to do to set that Godly example, point your kids in the right direction, pray over your children and trust God to do the rest. He will. Use the Jesus test and renew your heart and mind and that of your children. You can do this! God is with you to give you strength. I am church homeless. I am a christian. I love Jesus with all of my heart and do my best to obey God in all things. However, I do not go to church. Why? I work most Sundays, so it is really hard to get settled in a church. If I am being completely honest though, it is because I haven’t found that one thing I am looking for, JESUS. I want something MORE! Where can I find a church that is right out of the book of Acts? 1. Have A Daily Quiet Time- Find a time to get alone with God. Find a quiet place, turn off anything that will be a distraction, take a deep breath and focus on the one who really matters: God. Use this quiet time to study the Bible, how can you apply what you are reading to your life? Use this time to pray, pouring out your heart to God and listening to what He has to tell you. 2. Get Online– There are tons of church websites with full sermons you can listen to. There are online Bible study tools to help you dig deeper into God’s word. There are also, interactive Bible studies that you can be a part of. Take the time and research, just be careful and make sure that the websites are teaching the Bible. 3. Bible Study– find a local Bible study that may not be attached to any particular church. If there isn’t a Bible study in your area then maybe you should start one. You never know, as you get to know the other participants, you may end up finding a church you do like. 4. Serve– Find ways to serve in your community. There are food pantries, homeless shelters, soup kitchens and other ministries that need volunteers to keep them going. You will be helping those in need and also getting to work with other Christians. 5. Start A Home Church– Home churches are started every day by Christians who simply want to be a part of a church like the church of Acts. Starting a home church is not hard, but you need to be a mature Christian, a leader and somewhat organized. A house church can go wrong fairly quickly if the leader/leaders are not strong Christians. This is not for the faint of heart. God can use this time to mold you into a stronger Christian that depends only on Him. 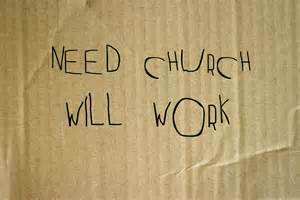 Being church homeless does not mean that you do not love God or that you are not a true Christian. God has used this time to draw me closer to Him than I have ever been in my life. You have to be intentional in your relationship. You have to make the decision that God is worth the effort. If you do make the effort, I can guarantee that God will draw you closer to Him than you could ever imagine. If you are church homeless, contact me. I am there and I can help you find ways to connect with God. Don’t give up!